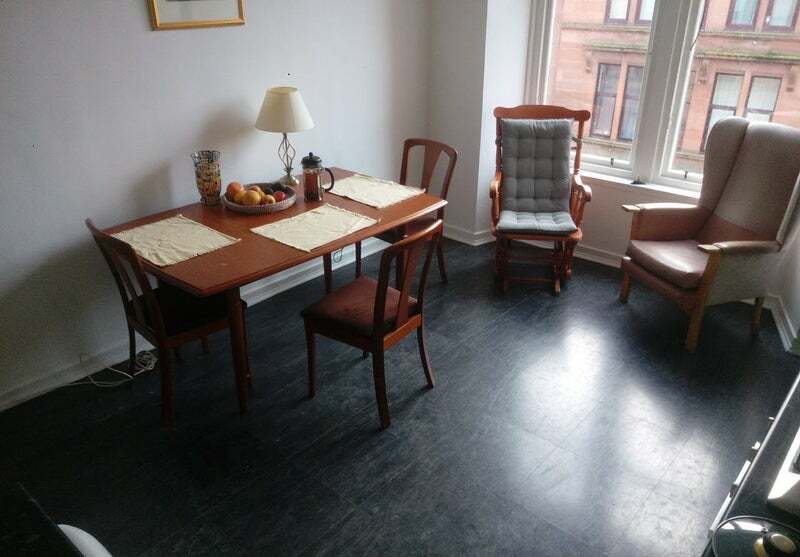 This is a newly furnished traditional flat in the West End. 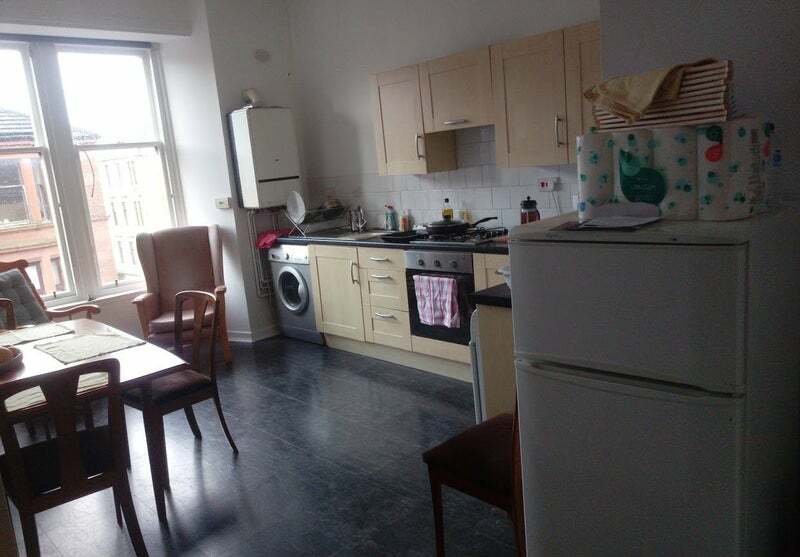 The flat has a dining kitchen, large bedroom and living room. 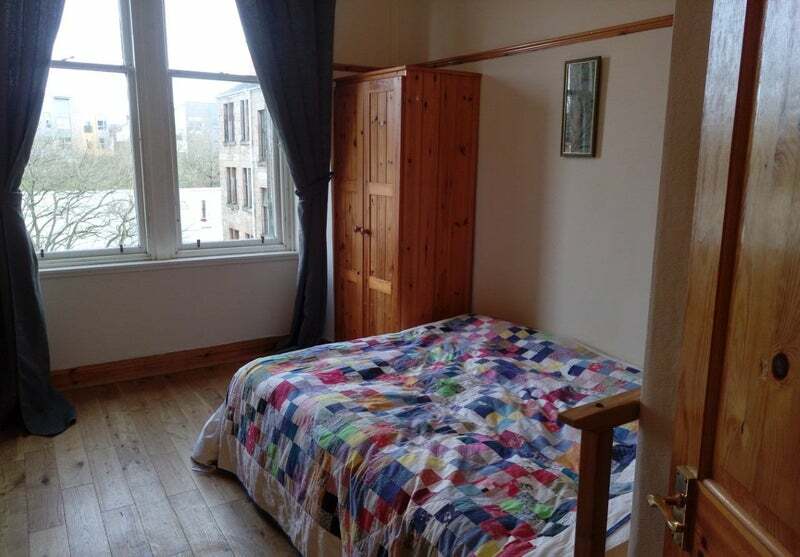 Very convenient for University, and the delights of Byres Rd distance to "Oran Mor" is just over half a mile. Also very well located for numerous well served bus routes into city. 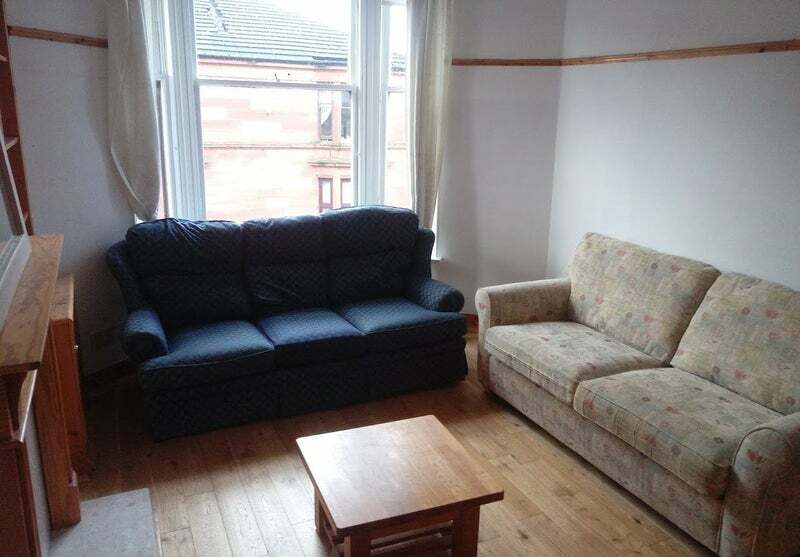 The flat is on a quiet street, just near the end of Queen Margaret Drive (continues from Byres Rd). The stairwell is very tidy and well kept, with a pleasant garden/bins area to the rear of the building. 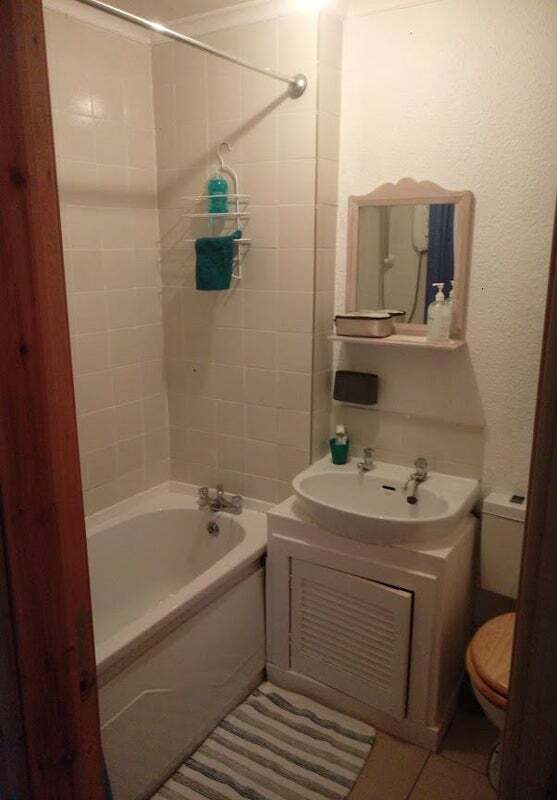 It is handily located for various shops, including Waitrose, Tesco, Co-op. 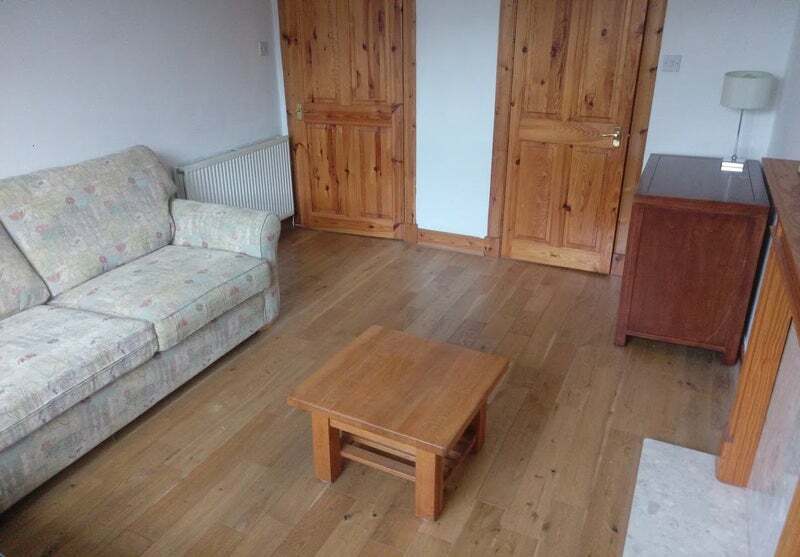 I'll have a sofa bed in the living room - which I'll use only very rarely (less than 10 nights a year) and will let you know in advance. I'm an officer cadet in the navy and will be away practically all the time at training bases in south of England. 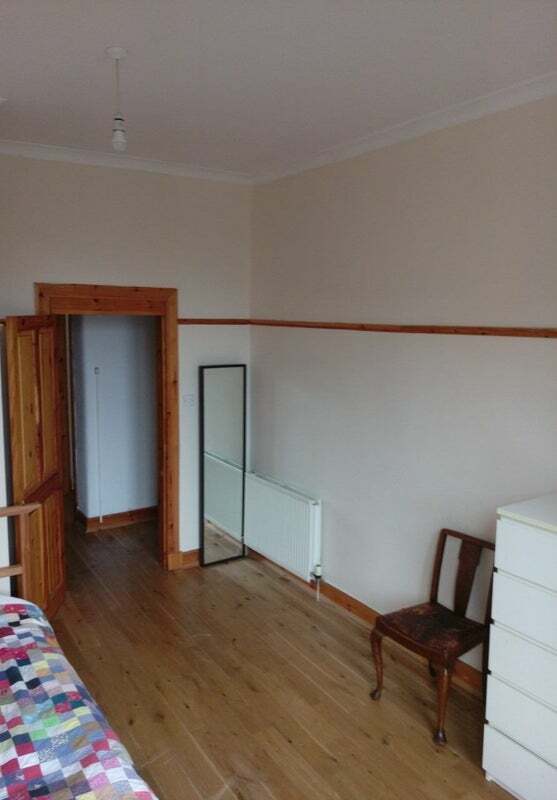 I'm relaxed about whether its professionals or students - would like to rent to folks who treat the place as their own.